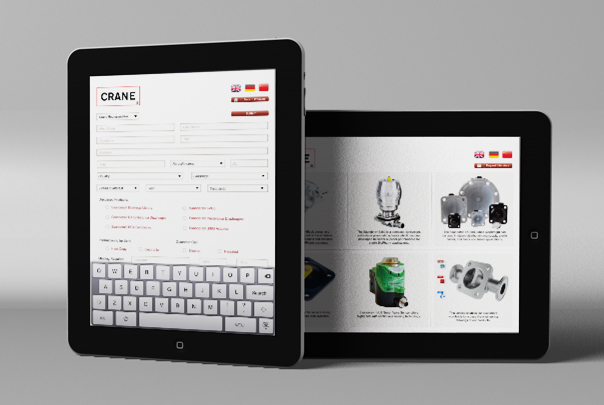 This app was designed for Crane Co for two trade shows. The idea was to showcase the featured items at the show as well as record any and all lead reports through the form at the end. Designed under Topic Design. Development by Alex Padgett of Topic Design.